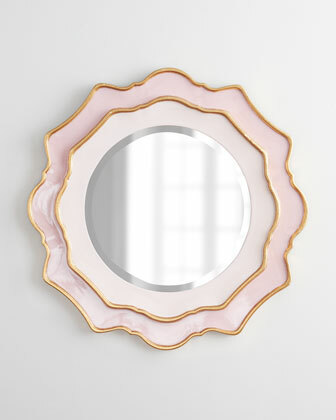 IMO, Horchow is for sure and for certain one of the best places to get beautiful mirrors online. Some are more budget-friendly than others but the site also runs a number of sales so there is a good possibility even the priciest mirror can be bought at a discount. That one is the Rosemeade Mirror. Are you most delighted by the blush pink, the gold edging, or the scalloped silhouette? 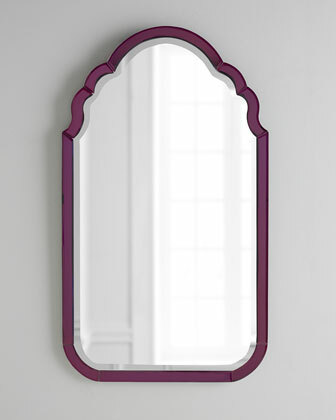 These are the kinds of pieces that can really make a space feel special...yes, we all use mirrors but a purple or pink mirror? Now that is an unexpected place for those colors. Love. Horchow does have the most gorgeous mirrors and lamps as well. Love them! Their sales are terrific!